You might remember way back in February when our Berlin correspondent was raving about the new restored version of Fritz Lang’s 1927 ‘science fiction masterwork’ Metropolis. Well now it’s made its way over here (courtesy of Eureka’s unbelievably amazing Masters of Cinema series) and last week I went to see it. As you might expect, a film that still attracts this much attention 83 years after its initial release is pretty good, and worthy of a trip back into cinemas on any given day. But the big news with this re-release is that they’ve re-instated almost half an hour of footage previously thought lost. At 145 minutes, there’s still about 8 minutes missing, but confusingly the press release says it ‘returns the film to the original release version’ so I don’t know what to think. I wouldn’t even be so pedantic about it, if Eureka themselves weren’t so obsessed by runtimes and ‘authenticity’. I mean, do we really need German title cards with English subtitles superimposed over the top? I think not. Tl;dr? Old film still great. 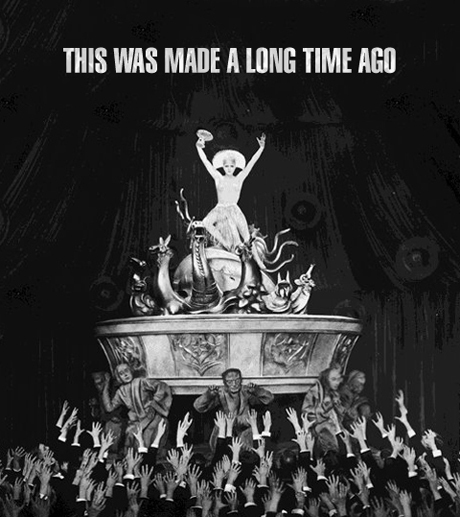 Metropolis is back in cinemas September 10th.